This is going to be the worse week for Sony. Earlier, Sony PlayStation Network was taken down by hackers and today the company has officially confirmed that Sony suffered massive data breach. Continue reading to know how worse it has gone. In a press release today, Sony confirmed that (PlayStation Network) PSN and Qriocity accounts have been compromised between April 17th to 19th which resulted in to the theft of personal details including usernames, emails, addresses and even worse Credit Card details of 77 million users in just one go. It is said that this is one of the largest Internet security break-ins ever. Sony response to the whole situation is to “keep an eye on your credit card statements” (wow). 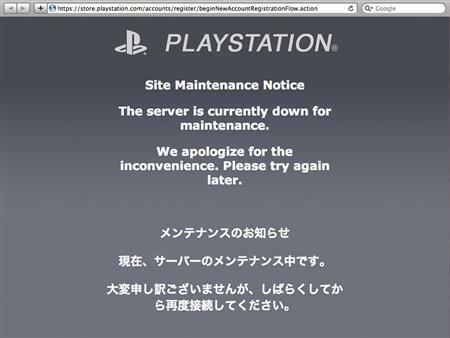 If after all this, something pinching inside you wants you to sign into the PSN, Sony expect to have its service back in around a week.